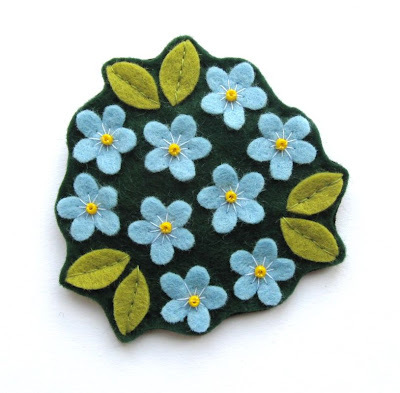 Thanks to me finishing a batch of them at the weekend... forget-me-not brooches are now back in my shops! 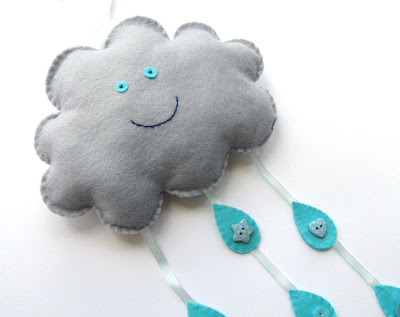 You can find them in my Big Cartel shop & in my Etsy shop. 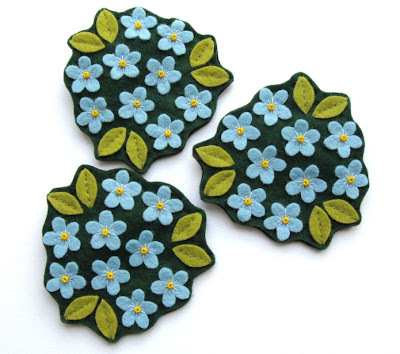 This batch has slightly different colour leaves to the previous ones I've made (a mossy green instead of a spring green), for the simple reason that I cut them out from the wrong colour felt! Oops. I think they still look great though!